Viceland has a docuseries on pro wrestling called Dark Side of the Ring. One episode talks about Macho Man Randy Savage and Miss Elizabeth. Hulk Hogan tweeted his thoughts on the show, while taking a dig at Viceland. 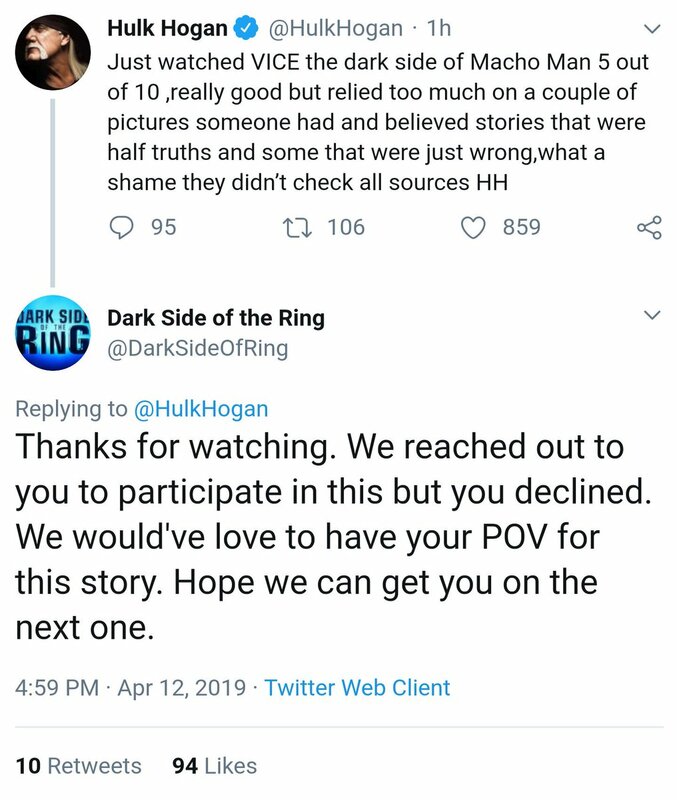 The Dark Side of the Ring Twitter account responded to Hulk, below is their exchange. As you can see, Hulk said that the producers of the show should have done better research and check all sources. While, DSotR reached out to Hogan who declined to be in the documentary. This is a very Hulk Hogan thing to do, as he has said many things in the past that are half truths themselves. Like how he was supposed to be bassist for Metallica or how he pulled every muscle and broke his back bodyslaming Andre The Giant.